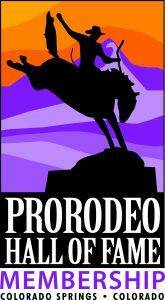 It’s the mission of the ProRodeo Hall of Fame & Museum of the American Cowboy to preserve rodeo, its history, and its impact on western American culture. By joining the ProRodeo Hall of Fame (PRHOF) membership program, formally known as the ProRodeo FanZone, rodeo fans from around the world can help honor and preserve America’s original sport for generations to come. For many, the benefits of the membership cannot be held in their hands, but the knowledge that they are helping preserve the museum’s artifacts, photographs, and documents is the greatest reward. 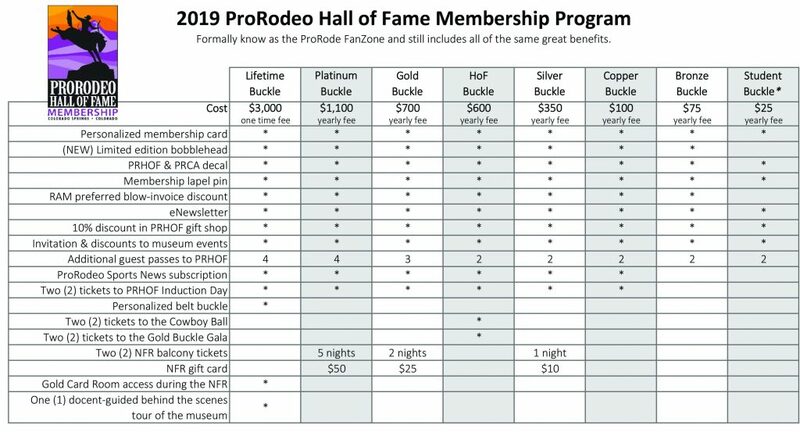 The PRHOF membership program offers some of the same great benefits as the ProRodeo FanZone, with the addition of some new benefits and levels. 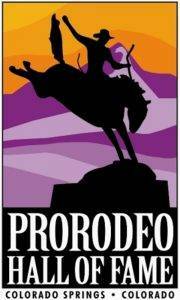 If you have any questions, don’t hesitate to call (719)528-4748 or prhofmembership@prorodeo.com. If you would like to purchase a membership or to renew your membership call (719)528-4748 or you can click here to fill out the form and send back. If you are interested in a membership that comes with NFR tickets, please ticket check availability. To be eligible to attend the PRCA National Convention, you must be, at least, a Copper Buckle level fan.